How to Choose Granite for Your Fireplace Project – Mees Distributors, Inc. Installing or remodeling a fireplace is a great way to add value and beauty to your home. Part of the process involves choosing the material used to create the fireplace surround. This is a choice that will define the look and feel of the room and is something that homeowners should pay close attention to. One of the most popular materials is natural granite, which offers unparalleled beauty, durability and style. The team at Mees Distributors, Inc. would like to offer the following tips on choosing the best possible granite for your project. Homeowners are often drawn to granite as a fireplace surround because of the gorgeous finished effect that only natural stone can provide. Granite also offers incredible durability and is a material that will last for the lifetime of your property. Granite is low-maintenance and easy to clean, leaving you with more time to enjoy your home. Another draw of granite is the fact that every piece of granite is unique. 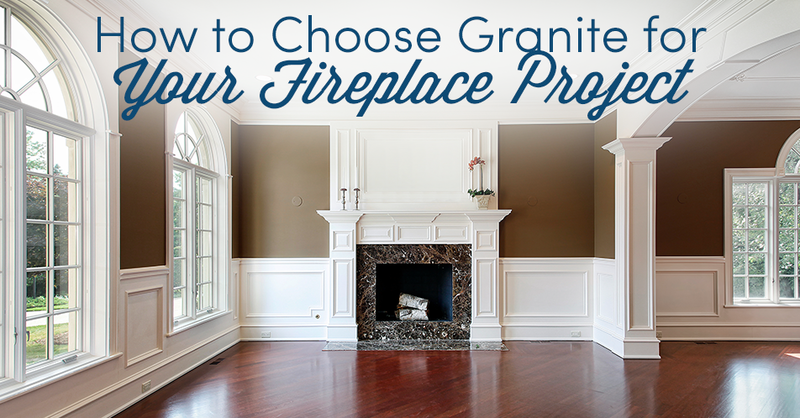 When shopping for granite to finish your fireplace, the volume of choices can be overwhelming. A great place to begin is with your personal tastes. Choose a color that speaks to you, and that you are drawn to. Some people become distracted by current design trends featured in magazines and showrooms, but it is important to remember that life is lived in rooms, not on the pages of a style guide. When looking at different granite options, be sure to think about how the stone will look in your particular room. The available lighting, both natural and artificial, will have a significant impact on how granite looks once installed. The best way to evaluate your options is by bringing home samples to view in place so that you can see how the stone blends with your current lighting. Your fireplace should be a focal point within the room, but should also be a good fit for your décor scheme. If you love the current decorative elements in the room, select a piece of stone that works well with those choices. If you anticipate a major design overhaul in the coming years, it may make more sense to select a stone in a neutral color that will work in a wide variety of settings. At Mees Distributors, Inc., we are proud to offer a wide selection of granite slabs for your fireplace project. We invite you to come to our showroom to view samples in person and to discuss the specifics of your planned project. Our associates have the skills and experience needed to assist you in choosing the perfect piece of granite for your new fireplace. We will work with you until you are confident in your decision and ready to place an order for your natural stone.